This is one of the cutest books I’ve ever read! I know a lot of people really like this book, so I was a little nervous about reading it. But I didn’t need to worry, because I absolutely loved it!It’s quite the mouthful as far as titles go, so I’ll likely shorten it to Statistical Probability so I don’t have to type out the entire title. It really is a fun, cute, sweet story! I love the relationship between Oliver and Hadley, and how they form a connection in an airport. I love that it takes place over the course of one day. And while Statistical Probability is under 200 pages, it didn’t feel like the book was too short at all! Which sometimes happens with books under 200 pages, but not this one. I think it’s because the book takes place over 24 hours, and while part of me wanting to know about Hadley and Oliver after meeting by chance in an airport, I’m also glad that there isn’t more. Because I like that I can imagine what happens after. There was a point where I couldn’t help but cry, and there are some heart-warming scenes at the end. I’m glad Hadley started to come around to her dad and her new step-mother, and that she wanted her mother to be happy too. She definitely had one crazy day, and I have the feeling that everything has worked out just fine. 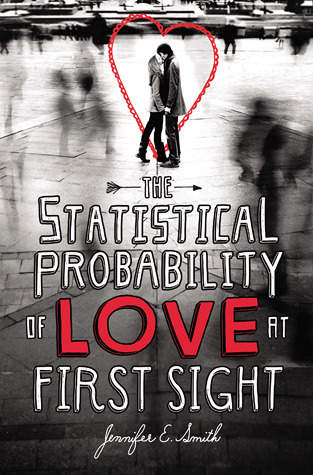 I don’t have much else to say about Statistical Probability, other than it’s a wonderful book to read any time of the year. It’s a fun, sweet story, and I’m definitely looking forward to reading her other books! I just can’t believe it took me so long to read it! Statistical Probability gets 5 stars.